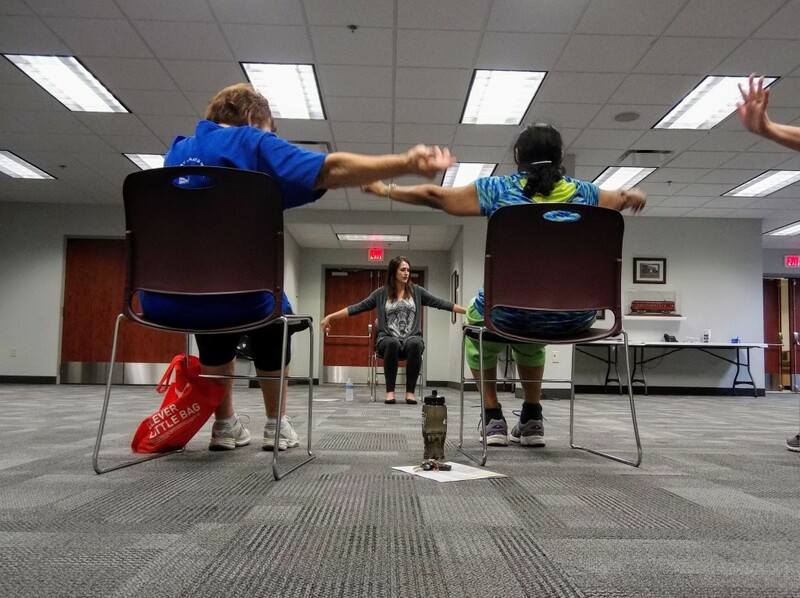 Enjoy a free session of chair yoga on Jan. 30 at our Lake Branch. You don’t need to be able to do a handstand or reach your leg behind your head to try yoga. If you’re looking for a low-impact way to get moving and reduce stress, try chair yoga! We’re hosting a free chair-yoga session at 2 p.m. on Wednesday, Jan. 30, at our Lake Branch. Our yogi will be Darlene Kelbach. She will teach some positions and maneuvers that can be practiced from the comfort of a chair. The program is free to attend. However, due to limited space, we do ask that you register beforehand. You can sign up online or call us at 440-257-2512. Yoga has been linked to everything from reduced stress and boosted immunity to weight loss and stronger muscles. Come join us and see what yoga can do for you. By the way, we have dozens of Yoga videos that you can borrow from us or stream on Hoopla. This entry was posted in Uncategorized and tagged chair yoga, Darlene Kelbach, Lake Branch, Mentor Public Library, Mentor-on-the-Lake Branch, yoga. Bookmark the permalink.